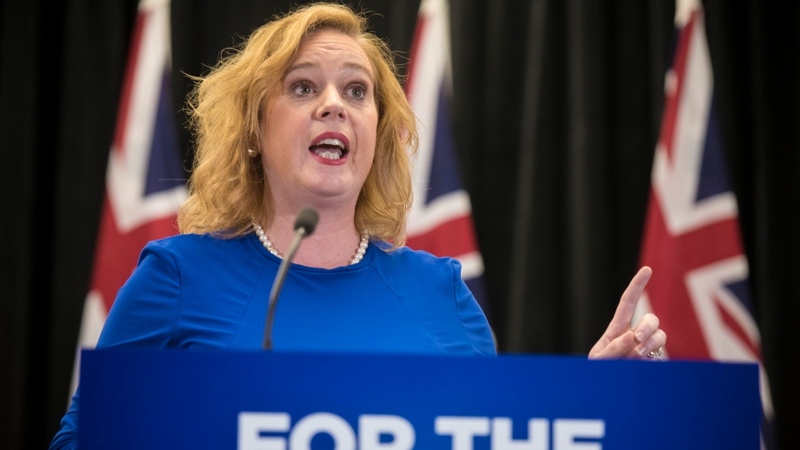 TORONTO -- Ontario's social services minister opened the door Thursday to giving more funding to children with more severe autism, which an advocacy group described as a "huge concession" in the province's controversial plan. The new program announced last month by Children, Community and Social Services Minister Lisa MacLeod sparked waves of protests by parents, who said the fact that the funding wouldn't be needs based -- instead, dependent only on age and family income -- would mean kids would be left without access to the levels of therapy they need. After a month of sustained protests, emotional outbursts from parents observing question period, and the minister receiving threats -- one person was charged by Ottawa police -- this announcement takes the temperature down, Kirby-McIntosh said.